Irrespective of how well the engine of your motorbike is performing, without a good battery, the bike will fail to perform as it should. The major requisitions for a motorcycle battery is to offer you with sufficient power to power your bike’s engine. Hence, it is very important to choose the best motorcycle battery for your bike to make all the difference to your bike when speaking about its reliability. 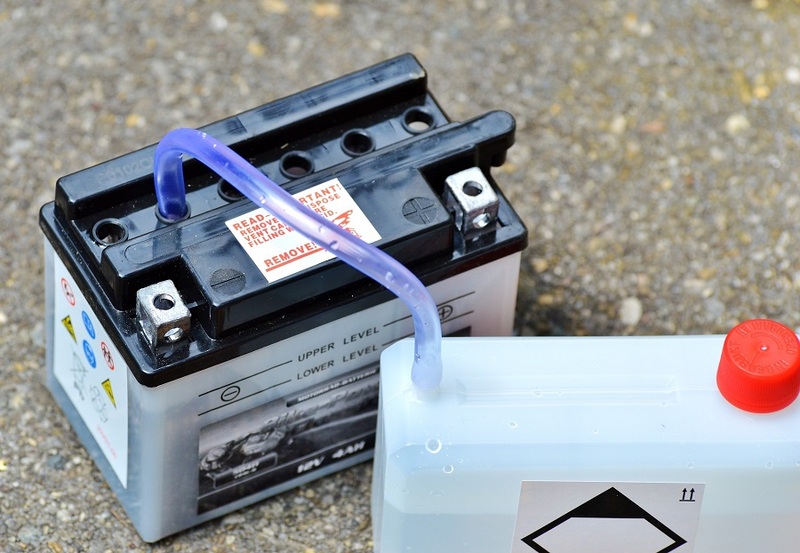 Just like the OEM motorcycle parts are important for the efficient functioning of your bike, a good battery enhances the performance and efficacy of your motorcycle. However, you should ensure that you have select a battery which has all the features to give assured durability and performance. Take your time to decide and the rating which every battery has got and see its best features which matches your requisition. The Chrome Battery YTX12- BS is a highly affordable and reliable battery available for your motorcycle this year. Apart from its reasonable price, what makes this battery the best amongst its category is its efficiency for outdoor usage. It is an ideal choice for all the motorcycle riders who prefer going long distance on their bikes. The battery has gel electrolyte injected so you don’t have to refill acid or deal with any such acid related problem. You also have an inbuilt intelligent chip and digital display to show alternator and battery voltage. The Yuasa YUAM320BS YTX20L- BS boasts of advanced specs which makes it stand out in the competition. First and foremost, it is a maintenance free battery which means you don’t have worry about adding water or checking the acid level. It also comes decked with developed lead calcium technology which maintains the gravity three time more than the traditional batteries. It features a compact body which fits all brands and is a perfect choice for people searching for a replacement battery. If you are a Harley Davidson owner and having troubles with your battery, then look no further than ThrottleX Batteries HDX30L Harley Davidson. The spill-proof battery is easy to install and offers similar performance as the original one. It fits all Harley Davidson collection so you don’t have think about compatibility. It gives top class performance and is highly durable and a great thing to rely on for a long time period. MotoBatt is a big name in the battery world and offers you top quality batteries. They major focus on gel and AGM batteries which are maintenance free and give you high power to ride. They work perfectly as a replacement battery and work as fine as the original one. The Battery Tender BTL35A480C Lithium Iron Phosphate Battery easily replaces the AGM and gel batteries. It is highly recommended for motorcycles, dirt bikes, motocross and ATV. It is light in weight and has a long life in comparison to the other batteries. It snug fits in any bike and can be easily installed. Choose the one which matches your bike requirement and go for it. It is very important to replace the battery with an OEM battery as well as carburettor with mikuni carburetor to enhance the performance of the engine.